Puerto Rico’s low-tax environment was tailor-made for American investors, traders and investment managers willing to move to the island. When Hurricanes Irma and Maria severely damaged the island this September, though, many had to evacuate, leaving traders to wonder how they will satisfy residency requirements. Enacted in 2012, PR Act 22 allows investors and traders with bona fide residence in PR to exclude 100% of all short-term and long-term capital gains from the sale of personal property accrued after moving to PR. Act 22 does not require investment in Puerto Rican stocks and bonds; trades can be made with a U.S. broker or on any exchange around the world. For example, a trader living in California can go from paying federal and state taxes of more than 50% in the top tax brackets to zero taxes on capital gains, just by becoming a tax resident of PR. The U.S. and PR assess capital gains taxes based on where the seller’s “tax home” is located. PR Act 20 has a 4% tax rate for companies, including investment managers, who export their services from PR. I asked tax attorney Mark Leeds of Mayer Brown, LLP to help answer clients’ questions. Mark Leeds: “First, the ‘less than 90-day presence in the U.S. test’ and the ‘183-day presence in Puerto Rico test’ are separate tests. Satisfaction of either of these tests will enable you to satisfy the presence test for 2017. “Please note that this is the second FEMA Notice of a Presidential declaration of a major disaster issued this month. The President previously issued a declaration in connection with Hurricane Irma. I believe that these declarations should be considered separately, with the result that if you left Puerto Rico or were unable to return due to that hurricane as well, you’d have up to 28 days in the U.S. that would count as days in Puerto Rico. Suppose a trader spent late May through mid-September in the U.S. states and planned to spend the remainder of 2017 in PR. He planned to meet the 183-day presence test, and assume he cannot meet any of the other presence tests. Before Irma struck on Sept. 7, he already had 140 days in PR from Jan. 1 through late May. He does not plan to return to PR for the remainder of 2017. With IRS relief, including 14 days for Hurricane Irma and 14 days for Hurricane Maria, his new day count is 168 days, falling short of the 183 days needed. If this trader lives in a home that is subject to a mandatory evacuation order, he can count those days spent outside of Puerto Rico toward the 183-day requirement. Conversely, if there were no evacuation order, he would need to go back to PR for 15 more days before year-end or try to satisfy an alternative presence test. If the trader does not meet the PR residency requirements, the consequence is being assessed U.S. taxes for the entire year 2017. That trader stands to lose zero taxation on capital gains and instead pay IRS taxes on capital gains and all other Puerto Rico-source income (other income remains subject to U.S. tax in any event). Some states might argue that leaving a state for one year or less did not change his state domicile, which brings state taxation into the fold, too. These tax matters are very complicated, so it’s wise to consult U.S. and PR tax experts on these issues, to protect you from losing the tax advantages as a result of these hurricanes. As PR-based tax experts resume operations, I expect to hear more news from them on these fiscal matters. Stay tuned! 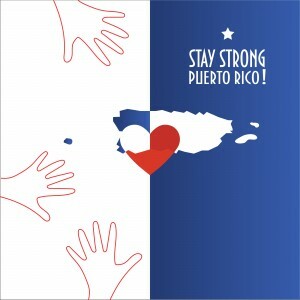 The devastations Hurricanes Irma and Maria brought to Puerto Rico, and its people are terrible; I encourage traders and others to give plenty of charity and support. Traders and investment managers can bring vital resources and talent to help rebuild PR. Mark Leeds contributed to this blog post. This entry was posted in IRS Relief, Puerto Rico Taxes and tagged Puerto Rico on September 26, 2017 by Robert Green.